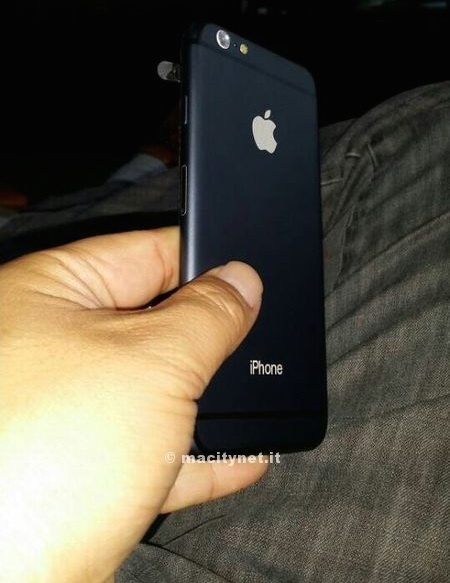 As design drawings and renderings of two larger iPhone 6 models have begun giving way to physical mockups based on those designs, a new photo of a high-quality physical mockup has been shared by Italian site Macitynet [Google Translate]. The latest mockup is reportedly the work of a case manufacturer, and Macitynet understands that mockups have been refined over a period of months. According to the source, the version shown in the photo is considered to be "final" for the purposes of ensuring case and accessory compatibility with the expected design of the iPhone 6. In practice, this model would be made molds of the latest cases and tested the prototypes of the enclosures to verify their compatibility with the real iPhone 6. It is not uncommon that during the process of engineering accessories manufacturers are forced to progressively refine their plans, as they come, of course, under the table, information on the specifications of the phones. In practical terms, it was explained, in recent months there have been various "versions" experienced by manufacturers of accessories (and these were modeled and rendered drawings of the iPhone 6), but there is now confidence that this one located final.